At a press conference, NASA administrator Jim Bridenstine announced the new plans for the return to the Moon with the inclusion of a number of private companies that will have the chance to provide their services to send various types of payload. 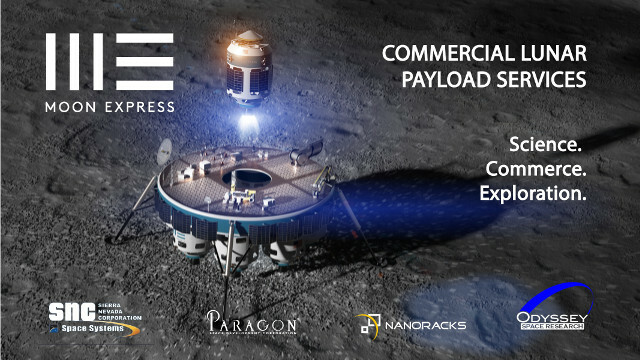 The program called Commercial Lunar Payload Services (CLPS) could start as early as 2019 and represents a first step towards a long-term goal, that is to establish a permanent presence on the Moon with an eye to Mars. After the end of the Apollo missions, NASA has been conducting its manned space missions on the Space Shuttle program and the International Space Station for decades, thus remaining in the Earth’s orbit. Already in the last decade the development of the Constellation program and in 2011 the announcement of the new Space Launch System (SLS) indicated the ambition to return to the Moon with the possibility of sending humans even farther. However, delays were piled up over the course of this decade and the budget kept on growing, as did the controversy concerning its management. Recently, NASA decided to involve private companies in this new plan. Astrobotic Technology. It already participated in the Google Lunar X Prize and is developing a lunar lander and a rover. Deep Space Systems. This is an aerospace company that already had contracts in NASA projects, including the Orion spacecraft being developed for NASA’s manned missions. Draper. This is an aerospace company that is developing the Artemis-7 lunar lander. Firefly Aerospace. The company is developing a series of launchers for the satellite launch market and in the case of the CLPS program of payloads to the Moon. Intuitive Machines. It’s an engineering consulting company that designed the Nova-C lunar lander. It also worked with Deep Space Systems and Firefly Aerospace. Lockheed Martin Space. It needs no introduction being one of the most important aerospace companies in the world and a contractor in many NASA projects. Masten Space Systems. It already worked with NASA and other aerospace companies on various projects and is working on technologies for lunar landers. Moon Express. It’s another company that participated in the Google Lunar X Prize and is working with other companies in the sector for possible lunar missions. Orbit Beyond. This is a startup that is working with TeamIndus, another participant in the Google Lunar X Prize and other companies in the sector to a possible cislunar market. The CLPS program includes contracts for a total of $2.6 billion over the next 10 years. NASA will carry out a series of assessments in the choice of contractors based on factors such as technological feasibility, price and work schedule. The payloads to be transported to the Moon could consist of scientific instruments and equipment to build and operate a stable base. Many names are unknown to the general public but the Google Lunar X Prize and other projects are opening a new market connected to space missions. The absence of important names such as SpaceX might seem strange but the only company among the selected ones that has a rocket in development is Firefly Aerospace and it’s designed to launch small payloads into orbit. It’s possible that other selected companies will make a deal to launch their payloads together on a SpaceX rocket. In any case, this is only the initial phase of the new NASA plan, which aims to open a market for designing, building and sending payloads to the Moon. For the sending of human beings we’ll have to wait for a later phase and above all that the SLS and the Orion spacecraft are ready, at the moment the biggest problem for NASA.